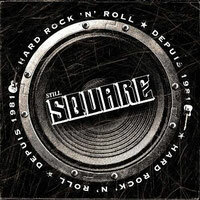 an announcement appears in the French Rock's magazine «Best» regarding a band which name is «SQUARE». Jean-Pierre NAPOLETANO (guitar) and Thierry FRONTY (guitar). Finally, after 4 years of rehearsal in the third basement of a Parisian car park, SQUARE found its own style : straight, melodic and catchy. 1985 : The band is signed by the French Label "Devil's records" and the first album is recorded and will be titled «Rock Stars» . 1986 : SQUARE is at the top of its Art. French label Black Dragon's Records proposes to sign the band. The adventure continues with a Parisian concert as Special Guest of Savage Grace (USA) and Heir Apparent (USA). The group went back to studio to record the second album. But due to the bankruptcy of their label, the recordings had to stop. One more show and SQUARE became history. Ten Years later, one of their tracks is used on a French compilation «Revolution Hard Rock» (Axe Killer Records) and suddenly the name SQUARE starts to be on all lips. A huge French Festival "Paris Metal France Festival", for its second edition, asked them to reform to play just for one night in Paris. Some of the members left since and the band hired new members. It does resound its anthems again. Its Hard Rock direct and frank does not have getting older of an iota. The reaction of the fans is so great that the band decide to go back in studio to achieve the work they started 20 years ago ! Because of juridical problems, they had to change their name into STILL SQUARE. 10 New titles, versions live, some concerts, STILL SQUARE is back!...The public follows. A new bass player, Pascal Gilleront (ex Falkirk) and a new drummer, Fabrice Trovato (ex TRENTE, ERICMCFADDEN) come reinforce the conviction and the cohesion of the band. Energy is definitely there. The five decide to plan production and recording of the long-awaited successor to "Rock Stars". «Laissez-les Rêver» (Let Them Dream) is the story of a band like Anvil who decide to never surrender to accomplish their dreams. STILL SQUARE passes with brilliance the test of a 2nd album, accommodated very well in the media. The public is not mistaken there and takes as much pleasure than the group at the time of the concerts placed under the sign of energy and of good mood. «Hard Rock’n’roll». Authentic, sincere, the group revives with the «simple» desire of making the music for fans of Classic Rock and of Hard Rock... The influences mingle with style «Square» beginnings. Recorded and mixed by Alain Maningé , at Studio Lagrange 45 and masterised by Thomas veyron, the twelve tracks sweat the playing pleasure a traditional Hard Rock, unashamedly and without swank, just for fun. French label Brennus Records will distribute this third album. 2018 : Still Square celebrates 10 years of its reformation by releasing a vinyl live album: «2008-2018 10th Anniversary». An LP from the concert recorded in September 2008 at the Cambrousse Rock Festival in Pierrelaye. The realization and mixing will be done by Philippe Sassard at On Air Studio, the mastering will be done by Brett Caldas-Lima at Tower Studio. With an envy still intact, the Band follows his path. The group has aged as a good whiskey that you can taste without ice or .... "On the Rocks"!! !